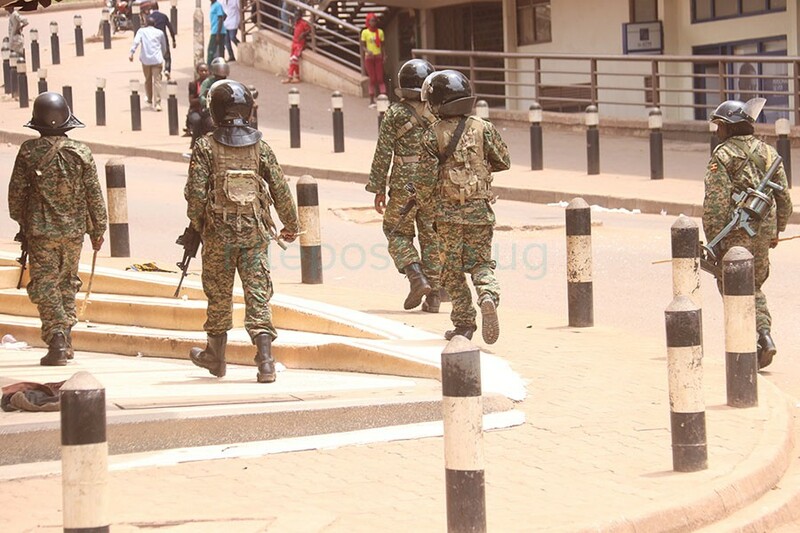 The police and military were on Monday afternoon involved in running battles with people in the city centre who were protesting against the detention of Kyadondo East Member of Parliament Robert Kaygulanyi also known as Bobi Wine. The military patrolling streets on Monday afternoon. He has since been remanded to Makindye military barracks. People raising their arms as a sign of surrendering during the protests. 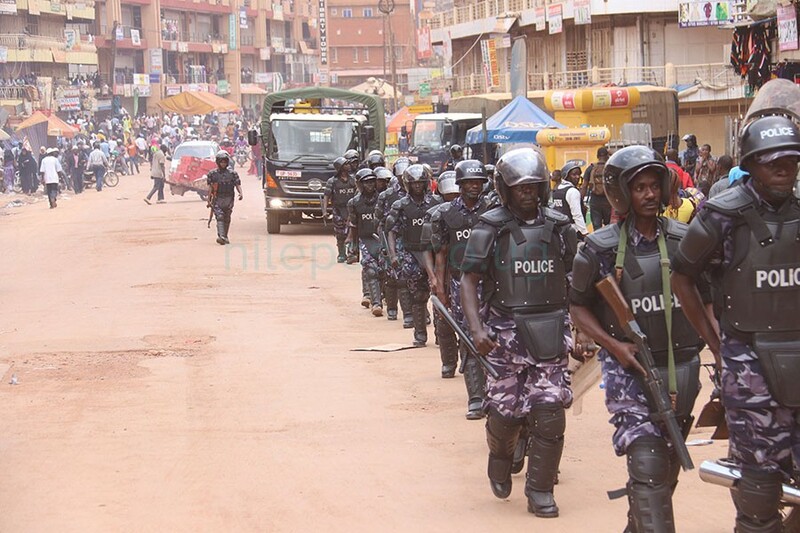 Meanwhile, bullets and teargas rocked the city centre as both the police and military tried to calm the situation. During the chaos, Reuters journalist James Akena was arrested by the military and equipment confiscated before being detained at the Central Police Station. 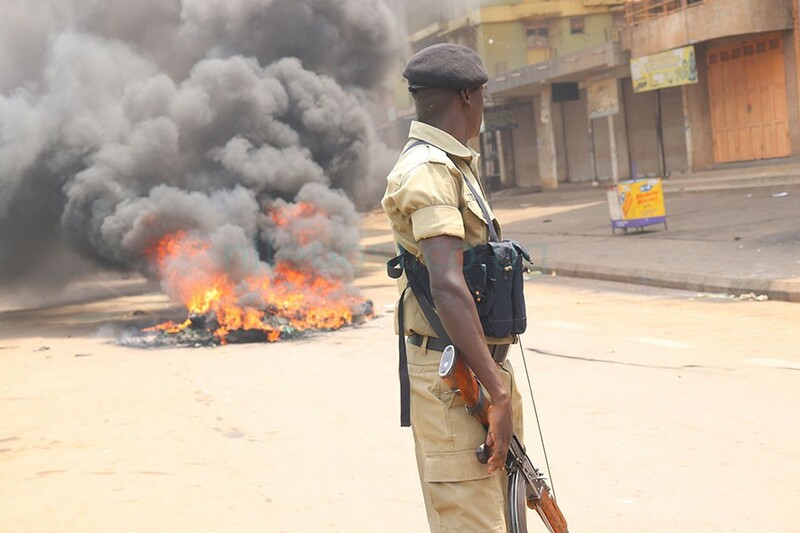 A police officer looks on as fires rages in Kisekka market. 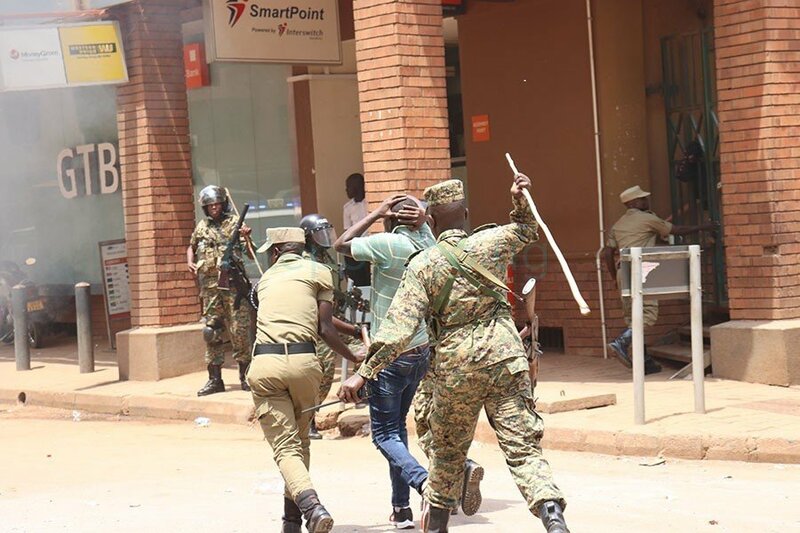 Several people were later arrested before being detained at the Central Police Station in Kampala. Both the police and military remain deployed all over the situation to monitor the security situation. The protest comes hours after a protest in Mityana on Sunday that left one dead and six others injured over the alleged torture of Mityana Municipality Member of Parliament, Francis Zaake. 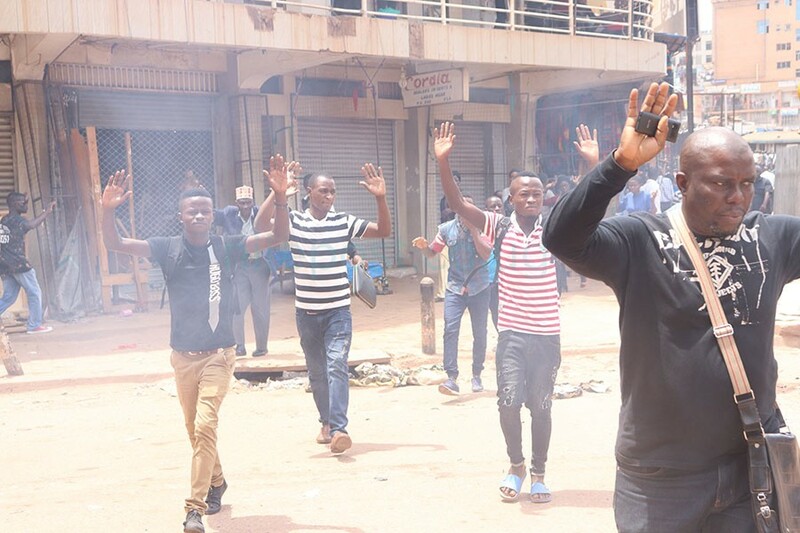 Speaking to journalists during the weekly press conference on Monday, police spokesperson said over 20 people had been arrested during the protests in Mityana on Sunday. “I would like to caution members of the public to desist from violent confrontations and acts that violate the law.It is high time we learnt to to resolve conflicts inf any, amicably and peacefully, “Kayima said. He noted that during the Monday protests in various parts of the city, over 40 people had been arrested for blocking roads and setting bonfires which paralyzed business.